When you use our Services, you provide us with things like your files, content, messages, contacts, and so on ("YOUR STUFF"). Your Stuff is yours. These Terms don't give us any rights to Your Stuff except for the limited rights that enable us to offer the Services. You're responsible for your conduct. Your Stuff and you must comply with our Acceptable Use Policy. Content in the Services may be protected by others' intellectual property rights. Please don't copy, upload, download, or share content unless you have the right to do so. We sometimes release products and features that we are still testing and evaluating. Those Services have been marked beta, preview, early access, or evaluation (or with words or phrases with similar meanings) and may not be as reliable as Dropbox's other services, so please keep that in mind. The Services are protected by copyright, trademark, and other US and foreign laws. These Terms don't grant you any right, title, or interest in the Services, others' content in the Services, Dropbox trademarks, logos and other brand features. We welcome feedback, but note that we may use comments or suggestions without any obligation to you. We may decide to discontinue the Services in response to unforeseen circumstances beyond Dropbox's control or to comply with a legal requirement. If we do so, we'll give you reasonable prior notice so that you can export Your Stuff from our systems. If we discontinue Services in this way before the end of any fixed or minimum term you have paid us for, we'll refund the portion of the fees you have pre-paid but haven't received Services for. We strive to provide great Services, but there are certain things that we can't guarantee. TO THE FULLEST EXTENT PERMITTED BY LAW, DROPBOX AND ITS AFFILIATES, SUPPLIERS AND DISTRIBUTORS MAKE NO WARRANTIES, EITHER EXPRESS OR IMPLIED, ABOUT THE SERVICES. THE SERVICES ARE PROVIDED "AS IS." WE ALSO DISCLAIM ANY WARRANTIES OF MERCHANTABILITY, FITNESS FOR A PARTICULAR PURPOSE, AND NON-INFRINGEMENT. Some places don't allow the disclaimers in this paragraph, so they may not apply to you. WE DON'T EXCLUDE OR LIMIT OUR LIABILITY TO YOU WHERE IT WOULD BE ILLEGAL TO DO SO--THIS INCLUDES ANY LIABILITY FOR DROPBOX'S OR ITS AFFILIATES' FRAUD OR FRAUDULENT MISREPRESENTATION IN PROVIDING THE SERVICES. IN COUNTRIES WHERE THE FOLLOWING TYPES OF EXCLUSIONS AREN'T ALLOWED, WE'RE RESPONSIBLE TO YOU ONLY FOR LOSSES AND DAMAGES THAT ARE A REASONABLY FORESEEABLE RESULT OF OUR FAILURE TO USE REASONABLE CARE AND SKILL OR OUR BREACH OF OUR CONTRACT WITH YOU. THIS PARAGRAPH DOESN'T AFFECT CONSUMER RIGHTS THAT CAN'T BE WAIVED OR LIMITED BY ANY CONTRACT OR AGREEMENT. IF YOU USE THE SERVICES FOR ANY COMMERCIAL, BUSINESS, OR RE-SALE PURPOSE, DROPBOX, ITS AFFILIATES, SUPPLIERS OR DISTRIBUTORS WILL HAVE NO LIABILITY TO YOU FOR ANY LOSS OF PROFIT, LOSS OF BUSINESS, BUSINESS INTERRUPTION, OR LOSS OF BUSINESS OPPORTUNITY. DROPBOX AND ITS AFFILIATES AREN'T RESPONSIBLE FOR THE CONDUCT, WHETHER ONLINE OR OFFLINE, OF ANY USER OF THE SERVICES. Judicial forum for disputes. You and Dropbox agree that any judicial proceeding to resolve claims relating to these Terms or the Services will be brought in the federal or state courts of San Francisco County, California, subject to the mandatory arbitration provisions below. Both you and Dropbox consent to venue and personal jurisdiction in such courts. If you reside in a country (for example, European Union member states) with laws that give consumers the right to bring disputes in their local courts, this paragraph doesn't affect those requirements. We Both Agree To Arbitrate. You and Dropbox agree to resolve any claims relating to these Terms or the Services through final and binding arbitration by a single arbitrator, except as set forth under Exceptions to Agreement to Arbitrate below. This includes disputes arising out of or relating to interpretation or application of this "Mandatory Arbitration Provisions" section, including its enforceability, revocability, or validity. Thanks for using Dropbox! Our mission is to create a more enlightened way of working by providing an intuitive, unified platform to collaborate with others and unleash your creative energy. Here we describe how we collect, use, and handle your personal information when you use our websites, software, and services ("SERVICES"). For more information and details, please see our Frequently Asked Questions page. Your Stuff. Our Services are designed to make it simple for you to store your files, documents, photos, comments, messages, and so on ("YOUR STUFF"), collaborate with others, and work across multiple devices. To make that possible, we store, process, and transmit Your Stuff as well as information related to it. This related information includes your profile information that makes it easier to collaborate and share Your Stuff with others, as well as things like the size of the file, the time it was uploaded, collaborators, and usage activity. Our Services provide you with different options for sharing Your Stuff. Cookies and other technologies. We use technologies like cookies and pixel tags to provide, improve, protect, and promote our Services. For example, cookies help us with things like remembering your username for your next visit, understanding how you are interacting with our Services, and improving them based on that information. You can set your browser to not accept cookies, but this may limit your ability to use the Services. If our systems receive a DNT:1 signal from your browser, we'll respond to that signal as outlined here. Other applications. You can also give third-party providers access to your information and account—for example, via Dropbox APIs. 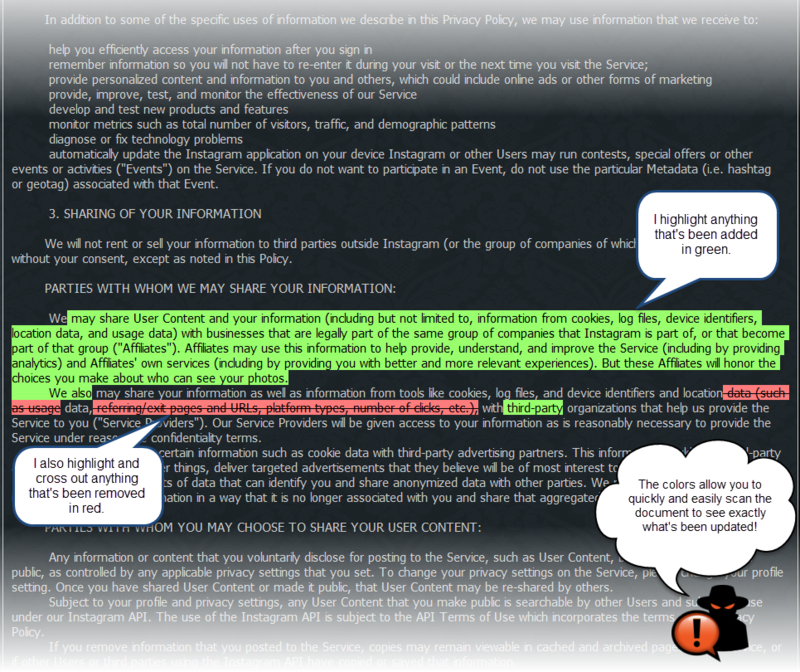 Just remember that their use of your information will be governed by their privacy policies and terms. Dropbox Team Admins. If you are a user of a Dropbox team (e.g., Dropbox Business plans or Dropbox Education), your administrator may have the ability to access and control your Dropbox team account. Please refer to your organization's internal policies if you have questions about this. If you are not a Dropbox team user but interact with a Dropbox team user (by, for example, joining a shared folder or accessing stuff shared by that user), members of that organization may be able to view the name, email address, profile picture, and IP address that was associated with your account at the time of that interaction. Law & Order and the Public Interest. We may disclose your information to third parties if we determine that such disclosure is reasonably necessary to: (a) comply with any applicable law, regulation, legal process, or appropriate government request; (b) protect any person from death or serious bodily injury; (c) prevent fraud or abuse of Dropbox or our users; (d) protect Dropbox's rights, property, safety, or interest; or (e) perform a task carried out in the public interest. We publish a Transparency Report as part of our commitment to informing you about when and how governments ask us for information. This report details the types and numbers of requests we receive from law enforcement. We encourage you to review our Government Request Principles and Transparency Report for more detailed information on our approach and response to government requests. User Controls. You can access, amend, download, and delete your personal information by logging into your Dropbox account and going to your account settings page. You can also limit the way we collect and use your data on the user control page of your Dropbox account. Learn more here about managing your account information generally, or click here to learn how to change your profile information. Retention. When you sign up for an account with us, we'll retain information you store on our Services for as long as your account is in existence or as long as we need it to provide you the Services. If you delete your account, we will initiate deletion of this information after 30 days. Learn more here. But please note: (1) there might be some latency in deleting this information from our servers and back-up storage; and (2) we may retain this information if necessary to comply with our legal obligations, resolve disputes, or enforce our agreements. EU-U.S. Privacy Shield and Swiss-U.S. Privacy Shield. When transferring data from the European Union, the European Economic Area, and Switzerland, Dropbox relies upon a variety of legal mechanisms, including contracts with our customers and affiliates. Dropbox complies with the EU-U.S. and Swiss–U.S. Privacy Shield Frameworks as set forth by the U.S. Department of Commerce regarding the collection, use, and retention of personal information transferred from the European Union, the European Economic Area, and Switzerland to the United States. You can find Dropbox's Privacy Shield certification here. You can also learn more about Privacy Shield at https://www.privacyshield.gov. Dropbox is subject to oversight by the U.S. Federal Trade Commission. JAMS is the US-based independent organization responsible for reviewing and resolving complaints about our Privacy Shield compliance—free of charge to you. We ask that you first submit any such complaints directly to us via privacy@dropbox.com. If you aren't satisfied with our response, please contact JAMS at https://www.jamsadr.com/eu-us-privacy-shield. In the event your concern still isn't addressed by JAMS, you may be entitled to a binding arbitration under Privacy Shield and its principles. If you reside in North America (the United States, Canada, and Mexico), your personal information is controlled by Dropbox, Inc. For all other users, your personal information is controlled by Dropbox International Unlimited Company. Have questions or concerns about Dropbox, our Services, and privacy? Contact our Data Protection Officer at privacy@dropbox.com. If they can’t answer your question, you have the right to contact your local data protection supervisory authority.